This handy pick and bar holder simply snaps on the leg of your steel guitar and keeps them handy to find and protects the finish of your steel guitar. FREE SHIPPING in the USA. Overseas, just contact me at: [email protected] and I will give you the shipping to be added to the price. Then simply pay by paypal from overseas. US charge and debit cards accepted in addition to paypal. 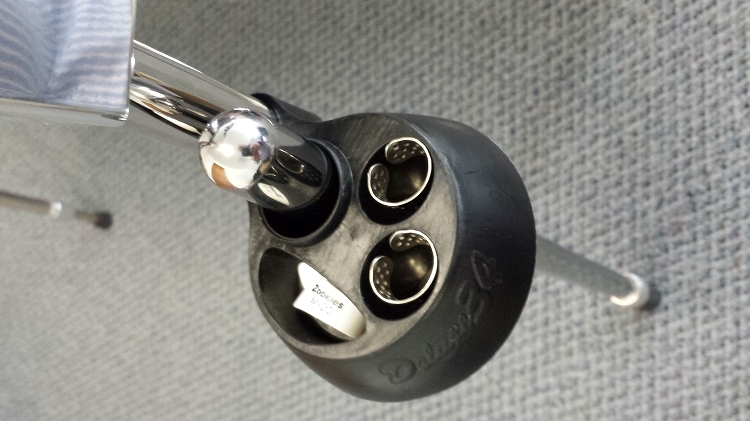 Everyone likes this specially designed leg holder to save the top of your steel from marks and gouges.